Yarraville is a popular inner west suburb of Melbourne. Formerly a working class area, Yarraville was one of the first inner West suburbs to undergo gentrification. Its population comprises of a mix of families and independent people attracted to living close to the city. The location of Yarraville lies immediately West of the West Gate Bridge and North of the Yarra river. 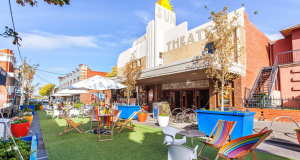 Yarraville is a vibrant community with family friendly facilities of primary schools, parks and open spaces. Plenty of cafe’s are dotted throughout the area with a mix of healthy and decadent. But all of them with great coffee that any connoisseur would appreciate. Like many inner city suburbs that have undergone gentrification, Yarraville shows its past and present through its architecture. The housing is made up of workers cottages, newly renovated Edwardians and modern apartments. The median house price sits around $1 million and apartments around $600,000. Bigger and renovated housing can fetch much higher prices. Overall Yarraville is a highly sought after location. In part due to its inner city position, pretty housing and laid-back cafe lifestyle. There is fierce competition amongst buyers in this location. Both for renovated homes and un-renovated properties. To get an edge in buying or selling a property, smart conveyancing practices should be in place. This may help you to settle faster than the competition and secure the sale. Or it may help prepare documents faster to sell your home in much less time than expected. Fordes provides excellent conveyancing services throughout Melbourne. With particular interest in the inner city suburbs. Our understanding of the real estate in the area and apartment living means we know what to look for in these property contracts. At every step we ensure our clients meet their legal obligations and all the while protect their rights and interests. We have assisted many properties of the million plus value and understand the importance when dealing with these high value homes. Do you need conveyancing services for buying and selling in Yarraville? Fordes offers affordable and streamlined services that result in fuss free property transfer. We are a professional conveyancing and property settlement firm. In addition we operate independently of any banks/financial institutions. Due to being a privately owned company your interests are always put first. As a result of our client first focus, we find our clients come back to us when they need further conveyancing help.